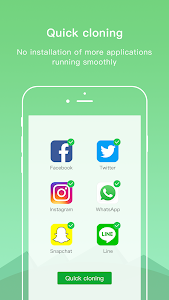 The first application that compatible with WhatsApp completely. 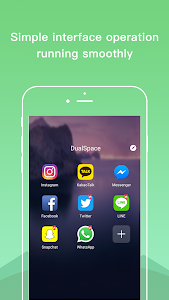 If you find WhatsApp crashing in other cloned application, please choose DualSpace. We can guarantee the running stability of WhatsApp. 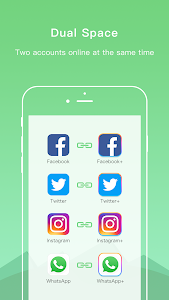 Did you have to frequently switch different social account of same app on your phone? Have you ever used two or more phones for keeping your accounts online just in case of missing any message from WhatsApp? Now, the black technology, Dual Space has released! It can perfectly solve your problem! You can easily use one phone to log in multiple accounts and keep them all online at the same time! And you don’t need to worry about the message reception and data storage problem of different accounts, because they will work independently and with no interference to each other. Keep multiple social accounts logged in simultaneously. · Keep your personal accounts and work accounts both online at the same time, and you can balance between life and work easily. 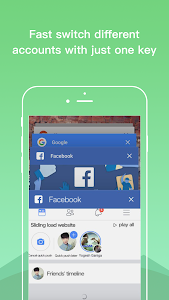 · Almost all social apps are supported for a second account in Dual Space. Data from different accounts will not interfere with each other. · Do you want to make your own secret account will not be found? Dual Space build a privacy zone for you, leaving no trace in the phone system. It can make your private account hidden and can not be seen by others, so your data security is ensured and your privacy is protected. · Dual Space is a latest technology that can clone applications. We do not install more applications in your phone, so that your phone will runs very smoothly! 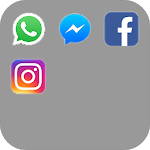 · Two accounts are running simultaneously on your phone, you can easily switch them with just one key, then effective manage different accounts. · We have researched tool software for many years, while provides multiple accounts logging in service also can ensure stable operation. · APP‘s file small, low CPU Consume, low power consumption. · Quick cloning，all applications can be double-opened. · Permissions: Dual Space have applied for as much system permissions as we can to ensure that applications cloned in Dual Space will run normally.For example, if Dual Space is not permitted to acquire camera permission, you will be unable to use camera function in some apps that run in Dual Space. 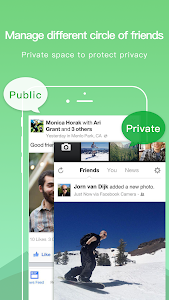 Dual Space does not collect your personal information to protect privacy. · Malicious virus warning：We found that some antivirus software maliciously pop up a virus warning because of Dual Space apply for system permissions. If you experience this situation, please don't worry.Dual Space is an absolutely safe application, does not contain any virus. · Notifications: Please add Dual Space to whitelist of some boost apps to ensure that notification of some cloned apps work well. 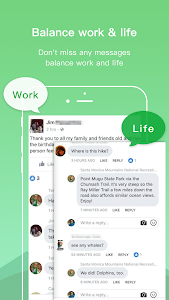 If you like our application, please give us five-star praise, your encouragement is our greatest motivation! Thank you! If you have any questions or suggestions, welcome to click【Feedback】 within the application , or send an e-mail to contact us, we will be honored to help you! Similar to "Dual Space - Multiple Accounts & App Cloner"